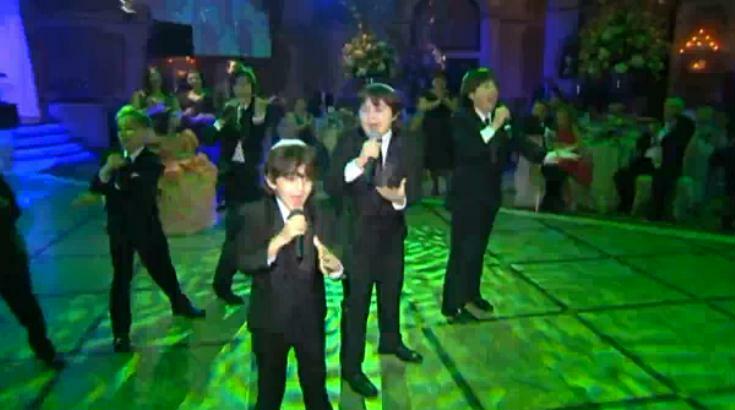 The M-Generation Boys' Choir performs at a Bat Mitzvah. In 1969, the Lubavitcher Rebbe founded an organization in Brighton Beach, Brooklyn, called Friends of Refugees From Eastern Europe (F.R.E.E). The organization's leadership is made up of Jews who were born in the former Soviet Union who have dedicated themselves to assisting their compatriots succeed in American society while at the same time strengthening their Jewish identity in order to prevent the pitfalls of assimilation. Because many social service agencies cannot relate to the unique cultural and linguistic barriers that exist for newly arrived Russian-Jewish immigrants, many of F.R.E.E.’s volunteers, having undergone the same transitions themselves, have been successful in acclimating these Soviet Jews to America. One of the successes of F.R.E.E. has been the M-Generation Boys' Choir, a group of about six talented youngsters (sometimes a few more), aged 6 to 12, who won first place in international Jewish boys' choir competitions held in Moscow, Berlin, and Dusseldorf. They have their own website which tells their story, and from which they book performances at concerts, dinners, community events, Bar/Bat Mitzvahs, and weddings. The clean-cut kids have a repertoire of songs in English, Yiddish, Hebrew, and Russian that include Oyf'n Pripitshok, Oseh Shalom, the Beatles' When I'm Sixty-Four, and New York, New York. Many of their songs are original compositions by their composer and arranger, Boris Rutiker. 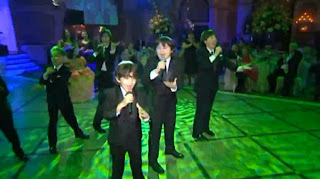 Here they are singing one of his songs, Bar Mitzvah, at a Bat Mitzvah reception in June. Enjoy! P.S. What does the M in M-Generation stand for? Moshiach, of course! Love- Love- Love this one!!! I think these kids are just wonderful ! I found their music last spring, and can't get enough of it. I love the selection called "Shalom". Thank god for You-tube, and god bless M-Generation. such wonderful boys. such talent. a throwback to andrew sisters style with yiddish, russian and english lyrics and well-timed choreography. wonderful.